With the introduction of the Logitech Harmony Living Home the integrated power of Harmony control now extends beyond the living room. With this home automation system you can create, customize and launch one-touch Activities anywhere in your house. You can control all of your smart home devices from one centralized control system. With the entry of more connected devices such as the Smart thermostat, Smart lights, Smart Locks and other Smart devices into your homes it becomes a necessity that you can control all of your devices with a single remote; the Harmony Living Home lineup is a remote that does just that. It sits at the center of your Smart home. It consists of a central hub called the Harmony Home Hub which can talk to smart devices via RF, IR, Bluetooth and Wi-Fi. With just one touch from your remote or Smartphone app you can control lighting hues, blinds, temperature, locks, window shades thermostats, sensors, home entertainment devices and more from your remote or mobile app. With just one touch you can control the Smart devices individually or in groups directly or on programmed schedules to create personal customized Activities. You can create your very own Activities like “Good Morning,” “Date Night,” or “Good Night” thus elevating the status of your connected home control devices into sweet and memorable experiences. 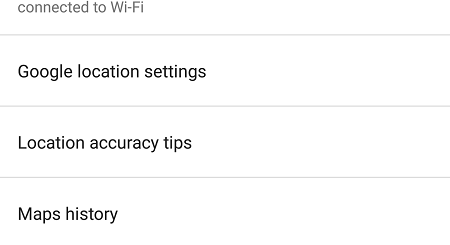 You can trigger the devices from the Harmony Living Home mobile App even when you are out of home. Logitech is offering Living Home remotes in three different packages at three different prices. The devices include a Logitech Harmony Home Hub (central access point), a protocol extender for the hub, a pair of smart remotes- Logitech Harmony Ultimate Home and Logitech Harmony Ultimate Control which is capable of operating anything that is connected to the hub. The devices are expected to launch by September 2014. The next level product, Harmony Home Control package pairs the Home Hub with a traditional physical remote. The remote itself has 40 plus assignable buttons. Harmony Home Control is priced at $150. For those who want only a remote the Logitech Harmony Home Control is the ideal one. It adds a simple push-button remote that can control Smart devices. It can also trigger programmed activities in addition to functioning as a standard home theater remote. It allows you to integrate and control all of your home automation devices and up to 8 home entertainment devices. The Logitech Harmony Home Control is available in black or white. Harmony Home Control is a button-only remote, but it still comes with the Harmony Hub. The high-end product, Harmony Ultimate Home includes the Home Hub and a remote control that has 20 plus buttons. Ultimate Home is priced at $350. It uses RF signals to connect to the Home Hub. The remotes can be used up to 30 feet away from the Home Hub. It turns your iOS and Android Smartphones into a personal remote. 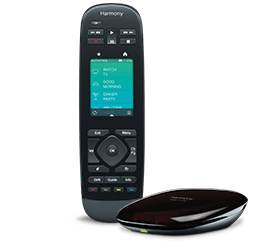 The Harmony Ultimate Home is a touch-screen remote that is almost identical to the previous Harmony Ultimate remote. Ultimate Home adds touchscreen controls for any home automation devices on your network. It sports a 2.4-inch color touchscreen and allows you to integrate and control all of your home automation devices and up to 15 home entertainment devices. You can customize up to 50 Favorite channels. Swipe and tap the touch screen to access all your Smart devices, view its status and change its settings. The Logitech Harmony Ultimate Home is available in black or white for a retail price of $349.99. The three products will hit the US and Canadian retailers later this month. 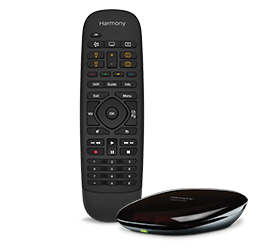 For those who own a Logitech Harmony remote, but want to upgrade to the Living Home can trade their old remotes and get a 100$ off on the $350 Harmony Ultimate Home. Logitech plans to offer a trade-up program with Best Buy for this purpose. For those wanting even more control over their smart devices like lights, locks, sensors, garage doors and other devices operating through ZigBee or Z-Wave, Logitech makes it possible with the Harmony Hub Extender. It is expected to be available for a retail price of $129.99. Logitech Harmony remote controls are easy to setup, easy to use, and support more than 270,000 compatible devices from 5000 plus brands. Some of the brands and platforms joining the Harmony library are Philips hue, Nest Thermostat, Sonos, LG, Apple, Samsung, August, Lutron, Roku, Kwikset, Honeywell, Schlage, PEQ, SmartThings, Sylvania, Yale and Zuli. 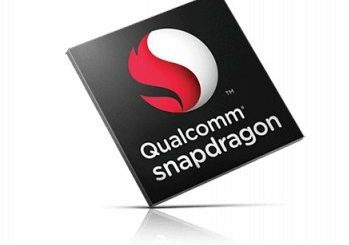 Also, with the introduction of the Harmony Developer Program, the list of compatible devices is expected to grow. Harmony Ultimate remote was previously able to control Nest’s thermostat, Philips Hue, and other Smart home equipments. Harmony Ultimate remote works with Philips Hue allowing you to customize the color, change the shade and set your hue lights on timers and alerts with one touch. It works with the Nest Thermostat to adjust, set and program the temperature of your home from anywhere. Using your Harmony mobile app or remote you can connect and play the music you love from your HiFi Sonos wireless speakers. You can easily access all your favorite movies, sport, and music on your Apple TV using your Harmony mobile app or remote. You can monitor Lutron dimmers, window shades and other light control, all from your Harmony remote or Smartphone app. The list will soon grow even larger; you can now, with your remote lower your blinds, lock your doors, and make your lights dim and more. iOS: iPhone 4S or later, iPad (3rd generation or later), iPad mini, iPod touch (5th generation or later) device with iOS 6.0 or higher. Android: Wi-Fi enabled Smartphone with Android 4.0 or later. 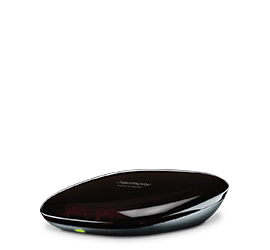 The Logitech Harmony Living Home lineup is expected to be available in the U.S. and Canada from September 2014 and the Harmony Extender from December 2014. Google Hangouts Updated: Bigger and Better!